Compare home warranty policies from the top ten home warranty service providers in mesa. To further assist you in selecting your policy, we have created a graph with a bell curve that showcases the average price of premium and average deductible of the various home warranty policies that are purchased throughout the state of arizona. View more... The X-axis indicates the price of the premium while the Y-axis indicates the number of homeowners. The start of the curve indicates the number of homeowners who purchase policies that have low premiums. The curve then rises to indicate the number of homeowners who have opted for the average premium and finally dips to denote the number of homeowners who opt for policies with a high premium. The Average Premium of the mesa is mentioned at the top of the graph. Review: We just moved and needed to have our house re-keyed. AHS process was simple and the locksmith they sent was great - fast and professional service! Review: I’d been looking for a home warranty for some time following purchasing my washer and dryer. The warranty on them wasn’t so great and after spending so much money on them, I wanted some extra protection. When I spoke with someone at Total Home, I was excited to find out that for the price the washer/dryer company was charging to do an extended warranty on the products, I could get one from Total Home Protection that would cover alll of my appliances, plus things like plumbing and heating/cooling. I am happy to say that my washer/dryer is still intact and functioning, but I did use the warranty to fix my dishwasher and it was an impressive experience that was extremely affordable. Review: Had a leak under kitchen sink. Called CHW and service tech arrived 5 hours later. Determined garbage disposal was leaking, replaced same and was gone in an hour. Very professional and pleasant. Very happy. Review: All my previous experiences have been good until lately. I filed a claim for my heat and as of today, my claim is still not resolved. Claim 72423790. My contact person will not return my calls or respond to my emails. I’ve been trying to reach her since last Friday. I’ve tried to call the main number but they wouldn’t help me. I spoke to Alicia and she said I could only get answers from the person assigned to my claim. I asked for a supervisor but they said there wasn’t one and refused to answer any questions or allow me to talk to anyone else. I left a message yesterday again asking for a call back and that I was going to cancel my policy and file a BBB complaint yet still no response. I haven’t had heat in 2 weeks and this should have been all taken care off within a few days. It has been a terrible experience. Review: Precise Home Services LLC , they were very professional and polite and they came earlier than expected and they took care of the problem. Review: I am pleased with the service I have received, however i think th hat when you have a contractor come out and replace something (PUMP FOR POOL) the warranty should include all internal parts in the replacement part and the warranty should be greater than 3 months. Review: Very easy process, customer service person was very knowledgeable and helpful. The tech that came was prepared and answered all my question. Highly Recommend!!!!!! Review: This was the easiest service call ever. The contractor east very helpful and went out of his way to make we didn\'t have any worries. 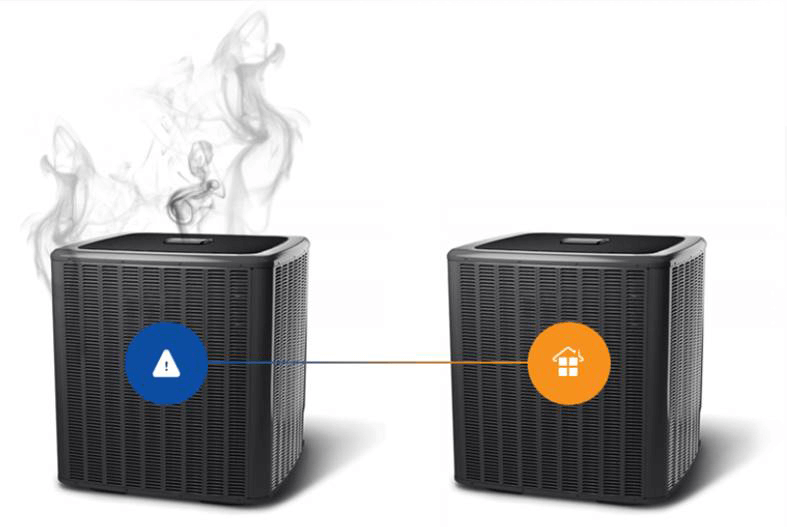 Review: My air conditioning wasn\'t cooling the home. This was my first year in the home. Fidelity National Home Warranty sent a serviceman to look at the unit. He said the unit was running fine and said he thought the ductwork in the home was the issue, which he said was not an approved repair. The serviceman did nothing and Fidelity charged me $70 for it. My home inspector didn\'t note discrepancies with the ductwork and unit and he was very thorough. The Air Conditioning company who came in to service the air conditioner and clean out the ducts a few months prior, also said the unit and ductwork were good and it just needed a tune-up and some duct cleaning. I went the last 2 months of the summer with a crazy expensive A/C bill from the unit running non-stop and it was still unreasonably hot in the house. To me, it seem like Fidelity and the service people they contract out will find any excuse they can to NOT fix things. This home warranty came with the house when I bought it so I can\'t see renewing with them if my first and only experience was negative. Based on other reviews, my complaint isn\'t an isolated one. Review: Great customer service from CHW and the tech from the company who came. Review: Our work was scheduled between 8 am and; 12 noon. We had heard NOT A WORD from either the Vendor or the service tech by noon. Called the number for the Vendor and found out the Tech was still an hour out from being able to get to our house. We made arrangements to be home later in the afternoon &; the Tech finally showed up. He apologized for the delay &; completed the work quickly &; efficiently. Well Appreciated. Review: Absolute worst customer service. They don’t care and lie about callbacks. One technician they dispatched damaged a pool valve and Fidelity wouldn’t do anything about it. Review: They were very professional and courteous. Review: I have used AHS for over 15 years in 3 different houses. The service is impeccable. I have always had service techs that were timely and more than willing to explain what the problem was. I have never felt overcharged and having AHS is a real peace of mind in dealing with home repairs. Review: Just signed up with them. The rep I spoke with was knowledgeable, informative, and friendly. Review: Very capable, timely and professional! Review: Company does not cover much of anything . They stuck me for a whole new a.c. System all they did was make me wait 4 days and took my 45 dollars and denied my claim . I would never renew my contract with these people ever.